Oral thrush, also known as oropharyngeal candidiasis, is a type of yeast infection that develops inside your mouth and on your tongue. A small amount of the Candida albicans fungus is normally present in the mouth. Oral thrush occurs when your immune system cannot maintain its natural defense against this fungus and it grows out of control. The infection leads to slighly raised creamy-white lesions, usually on the tongue or inner cheeks. If not controlled timely, it may spread to the roof of your mouth, gums, tonsils or the back of your throat. Other signs and symptoms in your mouth include redness, soreness, a cottony feeling, difficulty swallowing and loss of taste. 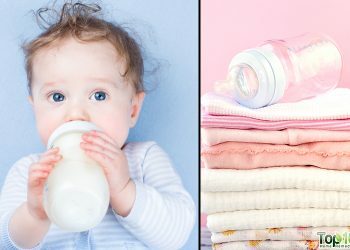 Anyone can develop oral thrush, but it is more common in infants, elderly people, those who have a weak immune system and those who wear dentures. People who have diabetes, a vaginal yeast infection or cancer are also more prone to it. Repeated bouts of oral thrush also indicate an immune deficiency. 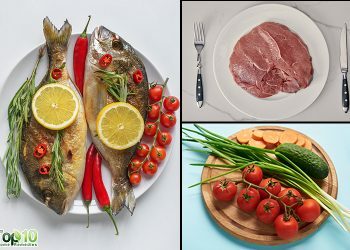 Hence, the first step you need to take is build your immune system through a healthy diet. Plus, maintain good oral hygiene, exercise regularly and get proper sleep and rest. In addition, you can use some simple home remedies to control the infection and reduce the symptoms. 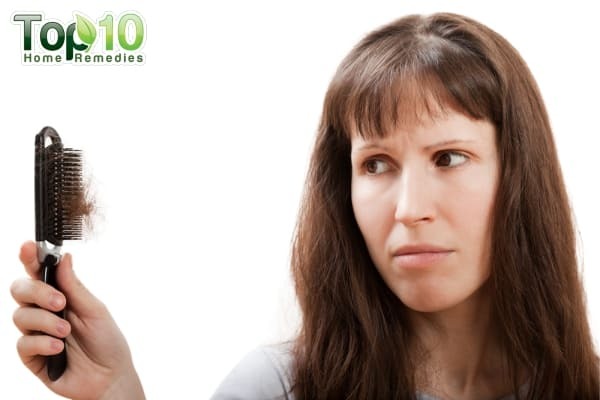 Here are the top 10 home remedies for oral thrush. 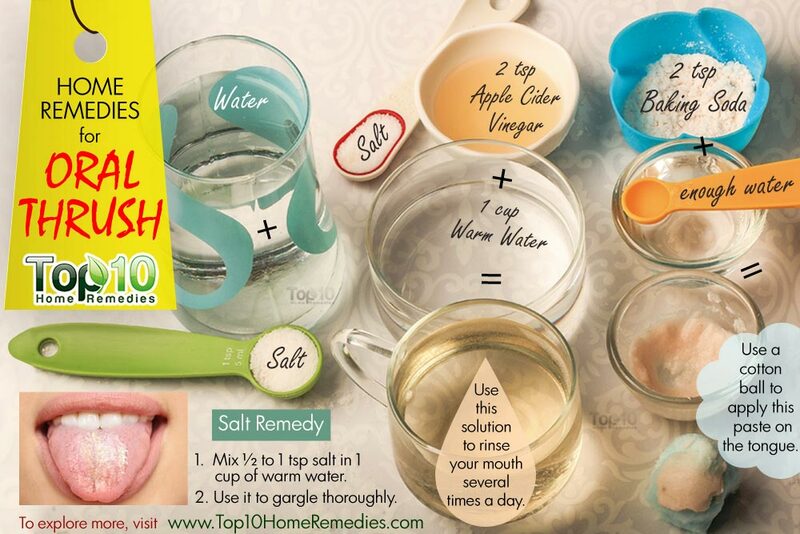 Salt is the best remedy to treat oral thrush. It creates an inhospitable environment for the fungus. In addition, salt helps relieve symptoms quickly. Probiotic yogurt contains live or active cultures of the lactobacilli species that can help treat thrush. It also improve your digestion. For treating yeast infection, only use plain, unsweetened yogurt. Eat 2 to 3 cups of yogurt daily for a few weeks. Also, rub some yogurt on your tongue and inside your mouth with your finger. Allow it to sit for 5 to 10 minutes, then rinse your mouth thoroughly with warm water. Do this once or twice a day for a few days. Coconut oil is a good remedy to fight an oral infection. It helps eliminate the yeast and reduce the discomforts associated with thrush. In a 2007 study published in the Journal of Medicinal Food, researchers found coconut oil to be active against different species of candida. Directly apply extra-virgin coconut oil on the inner mouth area and tongue using a cotton swab. Do this a few times a day for a week. Every morning, do oil pulling with 1 tablespoon of extra-virgin coconut oil on an empty stomach. Swish the oil around your mouth for 10 minutes, then spit it out. Rinse your mouth with warm water and brush your teeth as usual. Do this daily to maintain good oral health. Apple cider vinegar contains enzymes that can control candida infection. It also restores the body’s pH level to fight the overgrowth of the infection-causing yeast. In addition, it boosts the immune system and gives you a strong defense against candida. According to a 2014 study published in the Journal of Prosthodontics, apple cider vinegar showed antifungal properties against candida species. Mix 2 teaspoons of raw, unfiltered apple cider vinegar and ½ teaspoon of salt in a cup of warm water. Use this solution to rinse your mouth several times a day until you notice improvement. Also, add 2 tablespoons of raw, unfiltered apple cider vinegar and a little raw honey to a cup of warm water and drink it twice daily. Tea tree oil works effectively to treat oral thrush. Its powerful antifungal properties help control the growth of yeast and provide quick recovery. In a 2004 study published in the Journal of Antimicrobial Chemotherapy, researchers found the antifungal effects of tea tree oil and its components on candida albicans to be highly effective. 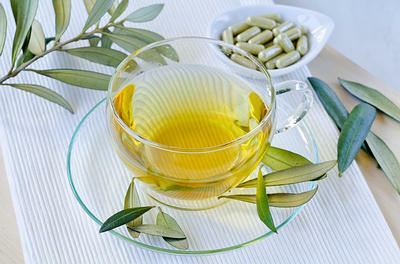 Add 4 or 5 drops of tea tree oil to 1 cup of warm water. Use this solution to gargle for a couple of minutes. Use this remedy twice daily until the infection has improved. Note: Remember not to ingest tea tree oil as it can cause side effects. Baking soda is an effective and inexpensive remedy for oral thrush. It can kill the yeast that causes the infection. According to a 2009 study published in the Brazilian Oral Research journal, 5 percent sodium bicarbonate is effective against candida albicans. In addition, it helps maintain good pH levels in the mouth by neutralizing acids. Mix 1 to 2 teaspoons of baking soda with enough water to form a paste. Use a cotton ball to apply this paste on the tongue and inner cheek area. Wait for a few minutes, then rinse your mouth with warm water. Follow this remedy 2 or 3 times a day for a few days. Also, dissolve ½ teaspoon of baking soda in a glass of water. Use this solution to rinse your mouth twice daily until you get rid of the problem. Cinnamon is another effective home remedy to fight this oral yeast infection. Its powerful antiparasitic and antifungal properties can control the growth of candida albicans. According to a 2012 study published in the Journal of Traditional Chinese Medicine, the curative effects and antifungal activities of cinnamon oil have a positive impact against candida albicans. Drink 1 to 2 cups of cinnamon tea daily. 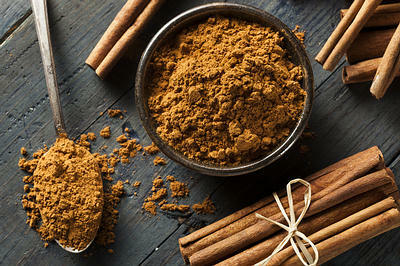 To make the tea, boil ½ teaspoon of cinnamon powder or a small piece of cinnamon stick in 1½ cups of water for 5 minutes. Strain and drink it. You can also add a little lemon juice in it. Dilute a few drops of cinnamon oil in 1 tablespoon of extra-virgin olive oil or any carrier. Apply this oil on the white patches caused by oral thrush. Leave it on 10 to 15 minutes and then rinse it off. Do this once daily for a few days. Note: Pregnant women should avoid cinnamon. Garlic is another effective treatment for reducing the thrush infection. Its antifungal property helps kill yeast in your mouth and it even gives your immune system a boost. In a 2005 study published in the Antimicrobial Agents and Chemotherapy journal, results appeared promising for the antifungal activity of fresh garlic extract against candida albicans. 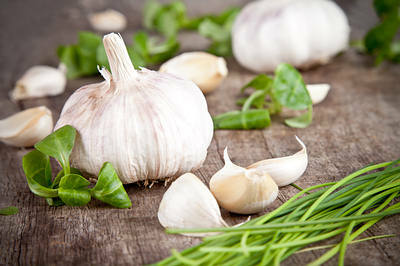 Chew 2 or 3 raw garlic cloves on a regular basis to fight the infection. Alternatively, take garlic capsules or tablets, after consulting your doctor. Also, apply garlic oil on the affected area a few times daily. 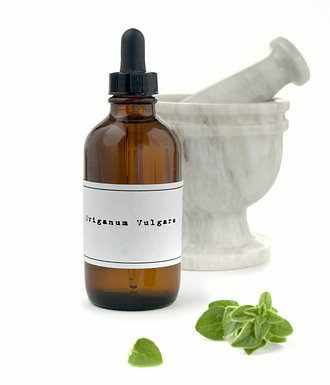 Oregano oil is also effective at inhibiting the growth of the yeast that causes oral thrush. According to a 2001 study published in the Molecular and Cellular Biochemistry, the antifungal activities of oregano oil are effective against candida albicans. The oil also boosts your immune system. Mix 2 or 3 drops of oregano oil in 1 tablespoon of olive oil. Apply it on your tongue and inside your mouth. Leave it on for 10 minutes, then rinse it out with warm water. Repeat twice daily until you see improvement. Also, add 3 drops of oregano oil to a glass of water. Drink it twice daily for a few days to a week. Another option is to take oregano oil capsules, after consulting your doctor. Olive leaf helps destroy the microorganisms that cause oral thrush, thanks to its powerful antifungal properties. 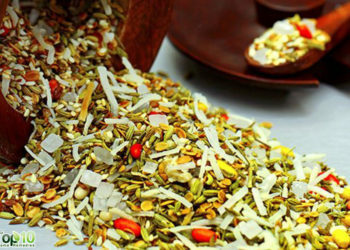 In addition, it contains an active ingredient called oleuropein that boosts your immunity. Practice good oral hygiene. Brush your teeth twice daily, floss once a day and never share your toothbrush. Clean your tongue with a soft piece of cotton or a tongue scraper every day. Replace your toothbrush often to prevent thrush. If you use dentures, remove them before going to bed and soak them overnight in denture cleaner that you can buy from drug or grocery stores. Clean your dentures with a clean toothbrush and water daily. If you are diabetic, manage your blood sugar level by checking it regularly. This helps prevent infections. Limit your intake of sugary foods to prevent the growth of yeast. If you smoke, stop smoking as it can worsen the symptoms. Sip cool water or ice chips to reduce the discomfort. Eat foods that are easy to swallow, such as gelatin, ice cream or custard. See your dentist regularly, especially if you have diabetes or wear dentures. Salt for oral infection serves the purpose.I’ve tried it n found it working. Thank you for your comment. I am going to try the salt remedy. I’m going to go and try the salt myself right now, this is miserable. The salt seems to help somewhat, but my tongue feels irritated. How do I know if the irritation is from the salt or from the oral thrush I got after using a steroid inhaler. I may try the baking soda remedy as an alternate for a while and see what happens. I’m also drinking apple cider vinegar in water, with and sometimes without the raw honey. all these remedies burn like hell. All options mentioned seem reasonable. I went to the dentist a month ago because I have some bleeding and some mouth lessions and he told I have Paradontitis. Two weeks later, my sympthomes went worse. So, I researched in the internet and I found I may have oral candidiasis. Went to the doctor (took another week waiting) and indeed it is that. He was furious for the wrong diagnosis by the dentist. I was taking Nystatin because my infection was getting really BAD, and for a week I started to use amphotericin B. I spitted blood out of my throat, so bad was the infection. Whatever you do, don’t let this get too far. 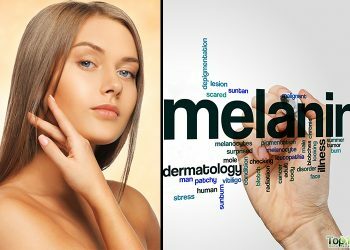 If it is too late, must use a strong medicine, because it can be very damaging to your health, besides that it is already incredibly painful. Particularly at night you get worse attacks from the fungi. What attacks did you get at night? I started the apple cider vinegar and salt rinse and immediately noticed soothing on my poor, raw mouth! I believe that this will clear this up for me. For those that try this, make sure that you use the correct vinegar. I used Braggs organic apple cider vinegar with the mother and it really did not burn at all. I was shocked that salt and vinegar soothed instead of burned! Thanks for these remedies! How did you mix it? I mean what measurements? How come no one mentioned Hydrogen Peroxide? this is supposed to be the best remedy, I did well rinsing twice a day with 3% peroxide swishing it around my mouth for 5 minutes each time,one week thrush is gone. I only had one white lesion. Hydrogen peroxide not mentioned here, wonder why? Got bad dose oral thrush following rather a large amount of antibiotics taken for surgery followed by complications. Gone through the over the counter stuff, Daktarin, not done any good. Just been prescribed Nystatin which I started on yesterday. I am doubtful about this one. I will try the salt as well at the same time. The thing with the Gel’s is that I can’t get them right to the back of my mouth and I am concerned it’s spreading down to my throat which is still healing from the tubes from the op. Man this is miserable. I swished the coconut oil around for five minutes then swish the salt around immediately I saw a change. This remedy kill the yeast. Gargling 50/50 water and hydrogen peroxide mixture gave me immediate pain relief when I had severe tongue and throat oral throat. Typo….. last word should be thrush.